With the forthcoming "Alternative Family Show" this weekend, I thought of shedding some light over the trials and tribulations some of us have to endure to reach the ultimate goal of having a child. So, I was saying, 'A Recipe'. Mmmhh.... let's see.... As any recipe, we all have different takes on the original, we all like different things and we will ultimately cook the dish as we know we like it. I will just tell you how me and Steven got the the final dish, so that you'll have a better understanding of the work and difficulties involved with the process. I'm going to talk to you about a "Triangle Surrogacy", which differs from a "Straight Surrogacy" in the fact that the gestational mother is NOT the biological mother, as the eggs are donated by a third party donor. Ultimately this kind of surrogacy, simplifies legalities a lot. A reliable Surrogacy Agency: in our case, we did some research online and opted for the services of CSP (Center for Surrogate Parenting). They have an office in Encino, LA California and another in Annapolis, Maryland. This latest office is definitely more suitable for European couples, as it is closer and will help half the flight expense in the long run, BUT, as a gay couple we found it more reassuring to work in California, where the laws regarding surrogacy are more lenient and the system is in general more supportive towards gay families than anywhere else in the US. The main task for the agency is to put you in touch with potential surrogate-mums. Now, be assured, the way CSP works, you will NEVER get to choose a surrogate mum. It's in fact her that chooses the couple. The profile is in the form of a very artsy-fartsy booklet where you talk about yourselves as a couple, your lives, your respective families and so on. The profile must include pictures! The agency requires you to produce 5 copies; they will be sent to all the available candidates to become your surrogate mum (even if the real candidates are the prospective parents really......). Then you wait. In our case, we submitted our couple profile in september 2007 and already by november we received a proposal from a candidate surrogate from Illinois. After consulting our lawyer ( I will get to this later) it turned out that surrogacy laws in Illinois do not support gay families and we were advised to drop her. So we did. -You are going to be paying for a psychiatric counselor that 'follows' the whole process and it's there to give advise (ours, only pissed us off as she was totally removed from reality and was not really in touch with our emotions or needs as prospective parents). The counselor also follows the surrogate in all the delicate stages of the gestation and makes sure that the psychological welfare of the surrogate is respected by all parties. The intention is good. Our surrogate mum was the coolest woman on earth and she could not stand this sixty-something woman calling her just to find out at what stage we were and neither could we... (How does this work? We pay for your 'services', but you call me to have information on what's happening to the point that you don't even realize we are already 4 months pregnant? Bah...). -You are going to have to deposit quite a large amount of cash in the agency bank account as your trust-fund, from which all is paid (surrogate's medical bills, travel expenses for check ups, monthly health insurance bill, medication costs and ultimately her fee). -The amount of funds they request is only indicative. Multiple attempts at achieving a pregnancy will result in more medication, more medical bills and more expenses. You will probably need to 'refuel'. -As an overseas couple we tried repeatedly to obtain information regarding places to stay, hotels, friendly neighborhood and potential difficulties bringing the baby back home. None of these requests were ever met with a satisfactory answer from the agency. "It's still too early" or "We don't know of any problems with immigration... Anyway, when it's time we will look at it..". This attitude left us to our own devices, with a newborn baby and only 3 weeks to sort out all the necessary paperwork to bring him home. Hell! Everything we found out we did by ourselves. Including the very necessary health insurance. Health insurance that covers surrogacy: now, this is difficult. The agency had no idea how to advise us as we were an overseas couple. The surrogate mum health insurance (MRMIP) would cover her and her hospital stay, but for our baby we had to subscribe with another health insurance provider to cover his first 90 days in the US. We went with Bupa International, but they have now stopped offering surrogacy cover, so I really don't know what to suggest. Somebody told us about Lloyds of London, but you need to check this out. Bear in mind, health insurance is of paramount importance and, if you don't have it, costs can be really, really high. (We know of a couple that ended up with a $250.000 bill for their premature twins hospital treatment...). Also, most health insurance providers will ask for a minimum subscription period of at least 10 months prior to the baby's birth, so, as soon as you start the process, sometimes months before even getting pregnant (because you don't know when it will happen...), make sure you enroll with a health insurance provider that covers babies born through surrogacy. You cannot enroll the baby, as he/she is not born yet and technically does not exist, so you will have to do it under your name and ensure it will also cover your surrogacy baby when he/she will be born. Steven ended up running two health insurances at once, the one he has through work and the one necessary for the baby. Crazy stuff. A reliable Egg-Donor Agency: in our case, after two failed attempts with our first agency (EDI, Egg Donor Inc.), we used the services of EDSI (Egg Donation and Surrogacy Clinic), whose offices are also in Los Angeles. We met our egg donor through EDSI and, for our next child, we will most definitely use them to find our new surrogate mum as well, as they also cover this aspect with their services and not only egg donation. Note: with regards to the egg donor I must stress the following. It might seem to you, aspiring parents, that the real pickle would be to find a surrogate mum, but in reality, the true difficulty arises when you start searching for a suitable egg donor. Yes, it's true, you will find that most egg donation agencies have an online database of donor information that, once you've registered, you can browse until your heart's content, but, often, the girl you set your hopes upon, comes up unavailable, unsuitable or totally different from her pictures when you meet her in person (if you will want to. We did, we met all of our candidate donors). Not to mention the scams of model-girls, posing just to attract clients!! In our case, the first donor, after we paid for genetic screening (yes, you'll have to pay for it as no girl comes with a guarantee of being free from genetic problems.....)and medication, became unsuitable as her ovaries responded badly to stimulation and became polycistic. So we had to drop her as we did not want to wait 1 more year for her condition to clear. In doing so, we had to pay her the contractual 'dropped cycle compensation'. The second donor (a truly stunning girl and an aspiring Victoria's Secret model...), did not work out because from genetic screening it turned out that she had 'Fragile X' syndrome in her family. Another heartbreak and six more months of waiting. We switched agencies and, thanks to EDSI, we found our perfect donor. Start your search for the egg donor early, it's my suggestion, and give yourselves more than one option. 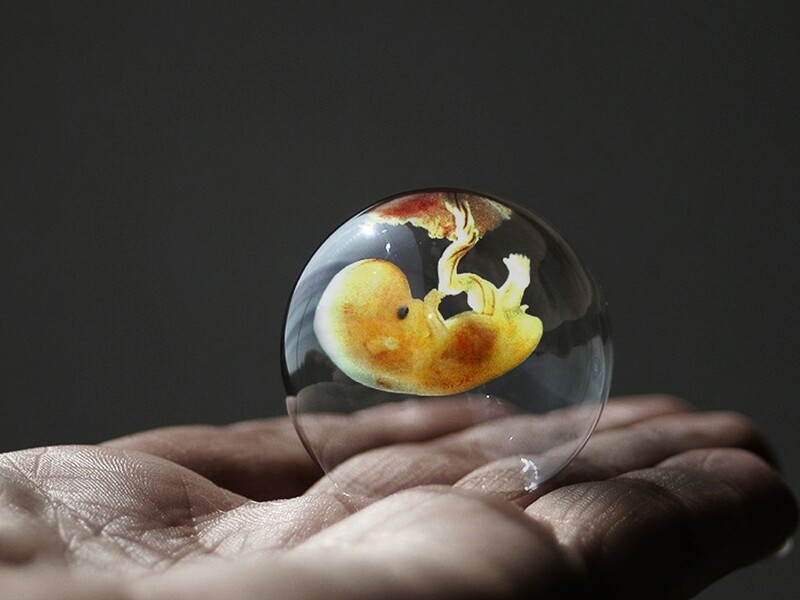 -A good Lawyer specialised in embryology and surrogacy law. We used the services of Andrew Vorzimer, from Vorzimer Massermann, in Encino, LA. Don't assume that the lawyer you choose will know absolutely everything about immigration law in your country. Your baby will need all his travel documents in order for you to bring him back home! Do your homework, speak to the Consulate of your country in LA, ask questions and be prepared for complications. I would advise you to use the services of a 'passport expediting' agency. They have direct access to the passport offices and, provided you have all the necessary documents in place, they can wrap up your travel documents within a few days for a relatively small fee. -A respectable reproductive surgeon: We used one of the best in Beverly Hills, Dr Mark Surrey, at the Roxbury Reproductive Centre. He takes care of fertilisation, embryo transfer and the first check ups (usually all the check ups leading to the 'big one' at three months, done at the hospital...). With regards to the birthing hospital and the midwife, the surrogate mum will generally choose a hospital she is comfortable with, also fairly close to her house and a midwife and surgeon she knows and/or she has worked with previously. It's really her choice. As from the third month check up, all the subsequent monitoring will be carried out at the hospital and no longer at the embryology clinic you chose. -An american Bank Account: it will simplify doing fund transfers or making last minute payments. It's not necessary, but it's advisable and cost effective. The main ingredients are all listed above, but there is much more involved in the process. Every party listed above, will require that you register with them and pay them a retainer fee. We ended up flying to LA eight times within two years. That costs money. The hotel stays, the travel to and from the hospital that was one and a half hours drive outside LA (Loma Linda Hospital). All adds up to medication, procedure costs, paperwork costs. Finally, the three weeks after the delivery we had to stay. They costed money. If I had to put down an estimate of how much I think you'll need, I can only say that you need more than you think. Things can go wrong, times can get longer on occasion and funds disappear sometimes before you get to the finishing line. Always allow for a good margin. Make sure you check and re-check with all the parties involved the invoices and the estimates, don't cut corners. We didn't. Don't be afraid of the mountain of paperwork involved. Always remember that you are in a foreign country that you might not be familiar with and you need to be safe and informed, rather than sorry and scared when you should be enjoying your first moments as parents. Trust me, I've been there! All my best wishes of good luck in what will most definitely be the greatest thing you'll ever do in your lives. Obviously, the above is a product of my own experience with surrogacy in the US. It only applies if you are contemplating having a surrogate baby in the US. I must have omitted some things, but please feel free to ask whatever pops into your mind and I will do my best to answer.